Why not explore Explore Morocco with a car and local driver. Hip are pleased to recommend a trusted local partner who is normally able to provide drivers who speak English, French, Spanish, or Italian. Book a car with driver and plan your personal itinerary with confidence. 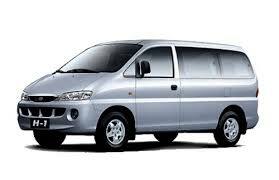 You will be met at the airport by your driver with an air conditioned vehicle appropriate for the size of your group. The rates include vehicle, driver, and fuel on 24 hour basis with up to 8 hours on the road. Also included is subsistence for your driver (food and accommodation anywhere in Morocco). Gratuities are not strictly required but they are normally offered and always appreciated. For the avoidance of doubt, this price does not buy you a registered Guide. You can expect your driver to be a pleasant, well presented and able to communicate in your preferred language. Don’t hesitate to contact us to discuss you requirements.